Cosmetic dentistry can improve more than just your smile. It can boost your self-image too. 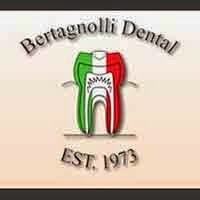 At Bertagnolli Dental we focus on cosmetic dental procedures that restore your teeth to their natural beauty. Invisalign is a modern approach to straightening your teeth. We are an Invisalign dentist in Westminster with the expertise you want to make your smile great. We take pride in offering a full range of services using state of the art technology and techniques. In addition to Invisalign braces, some of the services we provide include teeth whitening, implants, dentures, veneers, crowns, general check-ups/teeth cleaning and sedation dentistry. We understand that making a decision to have cosmetic dentistry is one that you have given a lot of thought too. When you are looking for an Invisalign dentist in Westminster, contact our office today.